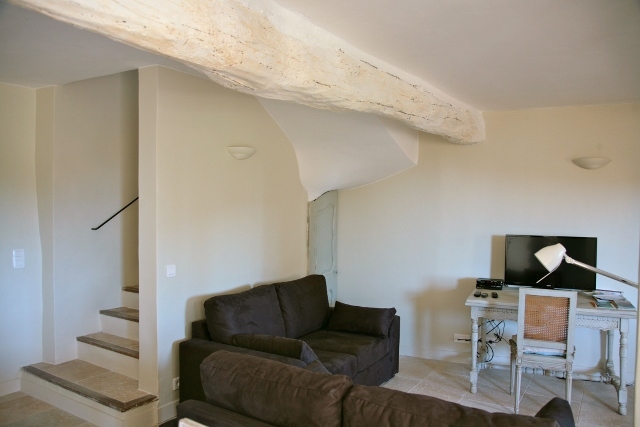 Two bedroom apartment on first and second floors, newly converted and fully modernised to high specifications. 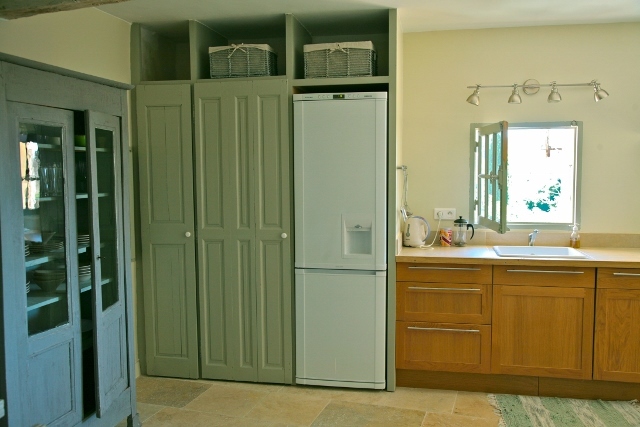 Air conditioning/central heating. 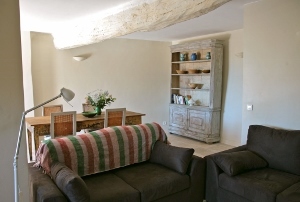 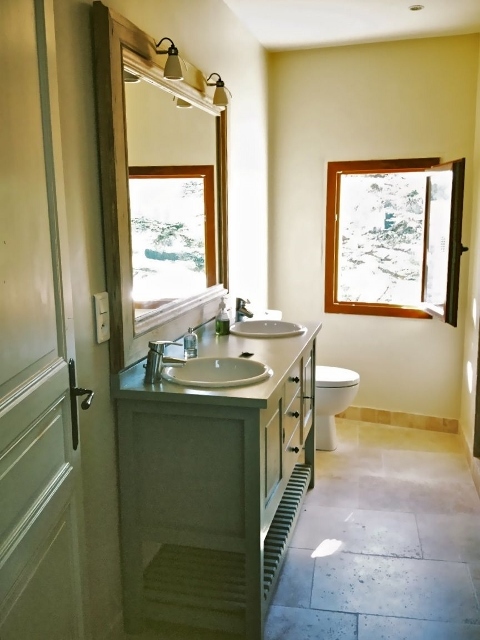 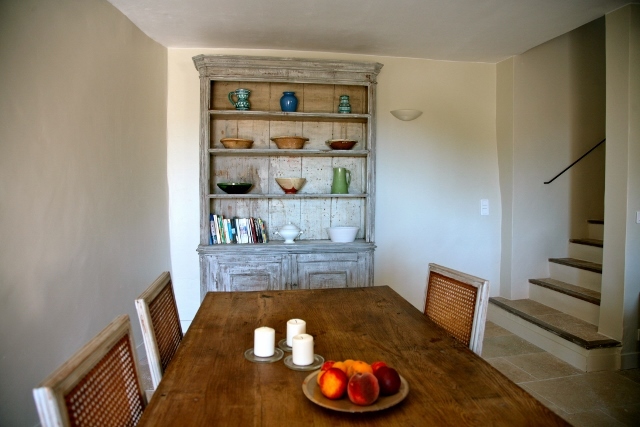 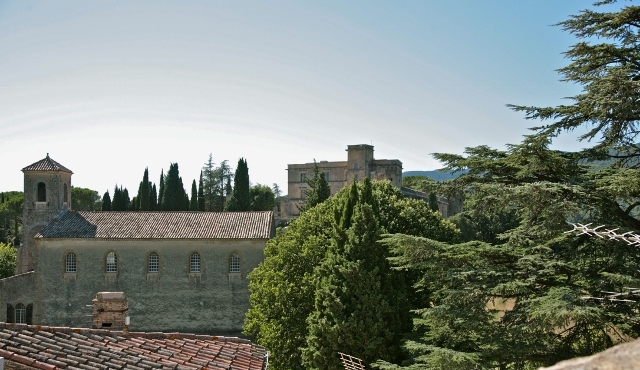 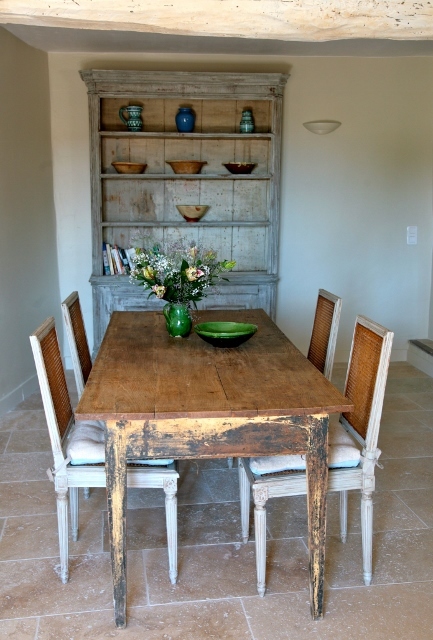 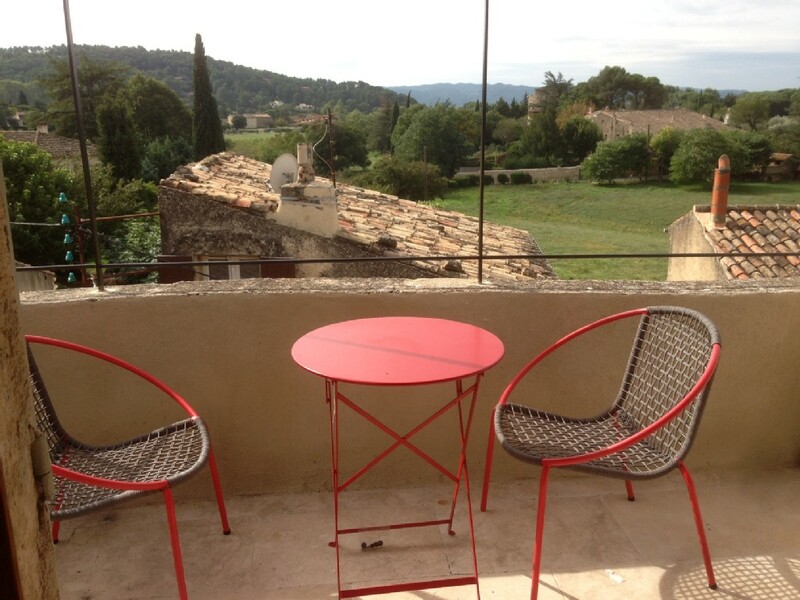 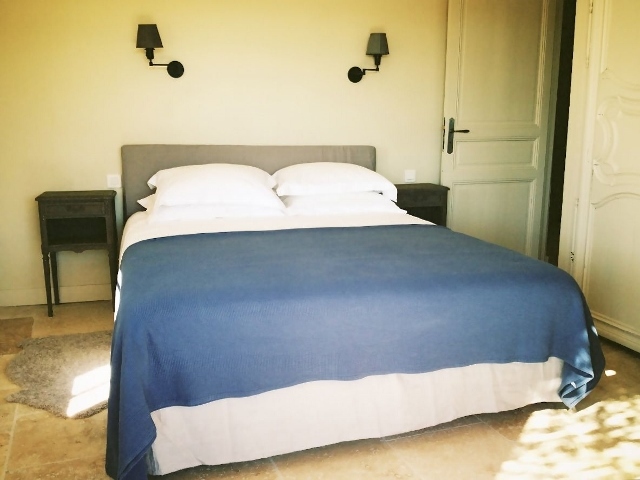 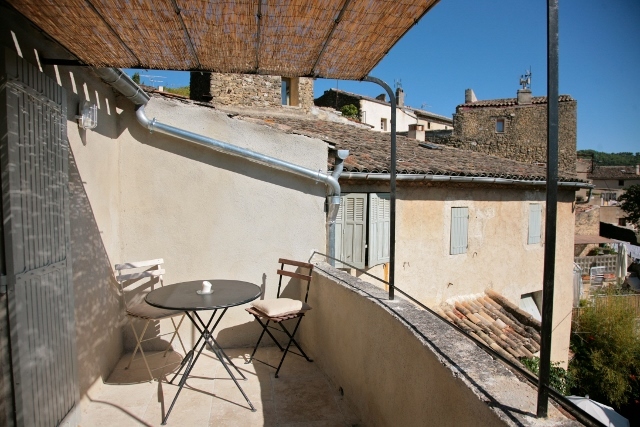 60 square metres with two sunny south facing terraces with views to chateau and Luberon mountains. 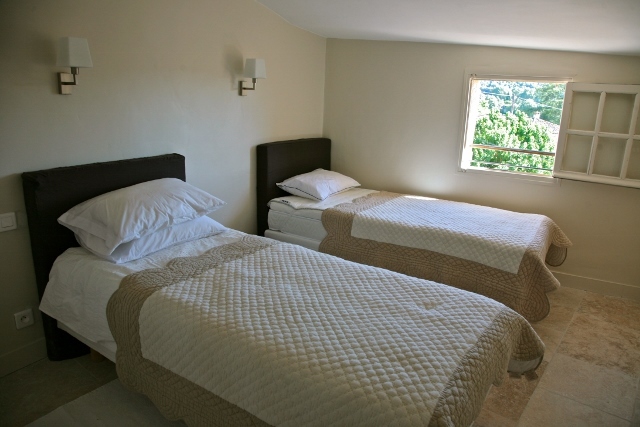 Wi-fi, English/French TV, fully equipped kitchen, high quality beds. 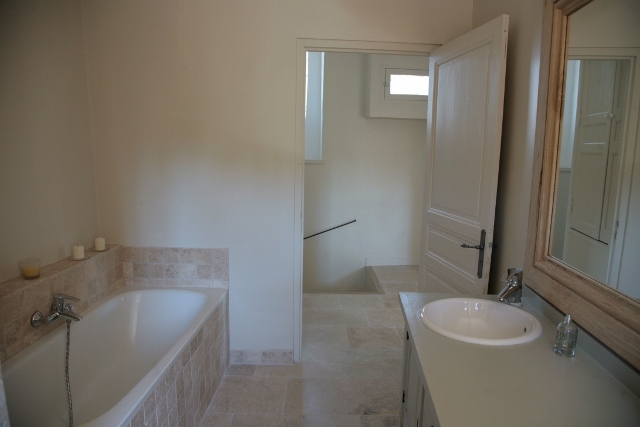 Independent shower and bath.